Many of our clients need simple, purely functional, no-frills racks. At our factory, we manufacture large quantities of such standard racks. Our wide range includes racks with shelves, cold storage racks and water glass racks. These perform a useful function in commercial kitchens, for storing food items. These racks are inexpensive, easy-to-assemble bolt-and-nut affairs. 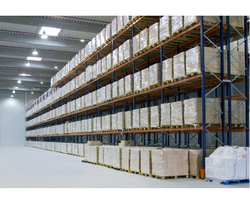 We are one of the leading manufacturers of a varied range of Storage System. This range is manufactured from optimum gauge of steel and complies with industrial standards. Our range is competitively priced and is highly demanded in many industries. With in house powder coating facility we also provide wide range of colors to satisfy our customers. 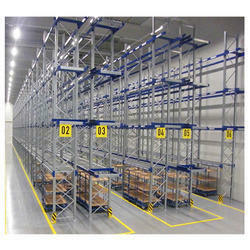 We are a unique name in this industry to provide our prestigious clients an exclusive range of Cold Storage Rack. We Prefer buyers only from Hyderabad. Cold Storage and Kitchen Racks that we manufacture are known in the market for its capability of storing both hot as well as cold products. For the higher strength and long functional life of this product, we manufacture this by using pure aluminium of stainless steel. For the convenience of our clients this product is available in standard and custom built sizes. We hold specialization in offering an extensive range of Cold Storage Rack that is manufactured using the progressive technology and high grade raw material procured from the trusted and reliable vendors of this industry. These racks are available in various designs and specifications provided by our respected clients.